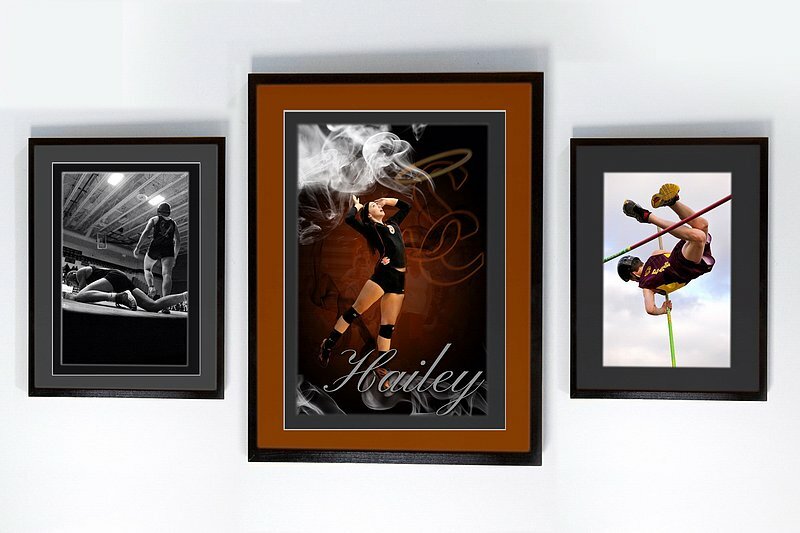 Really make your images stand out with one of our custom frames. Each is hand-made from hardwood and hand-painted locally. 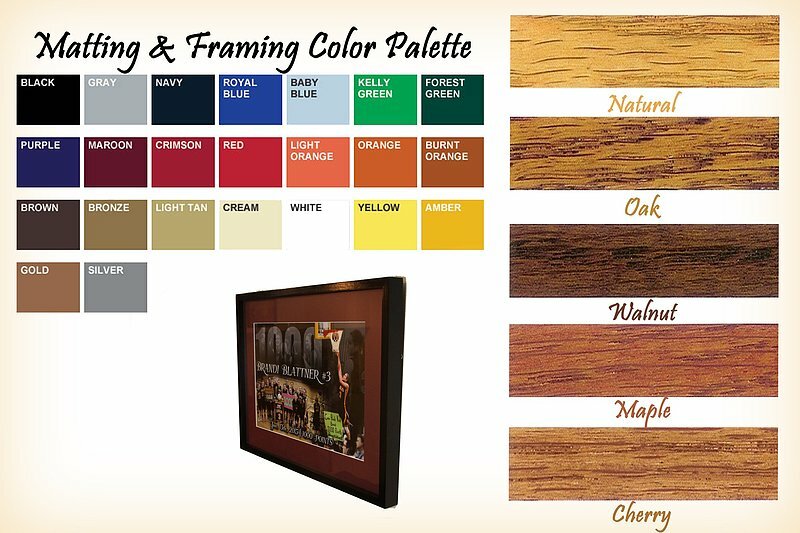 We offer a wide range of color options for both the frame and the matting. Single and double matte options are available and custom projects are welcome. 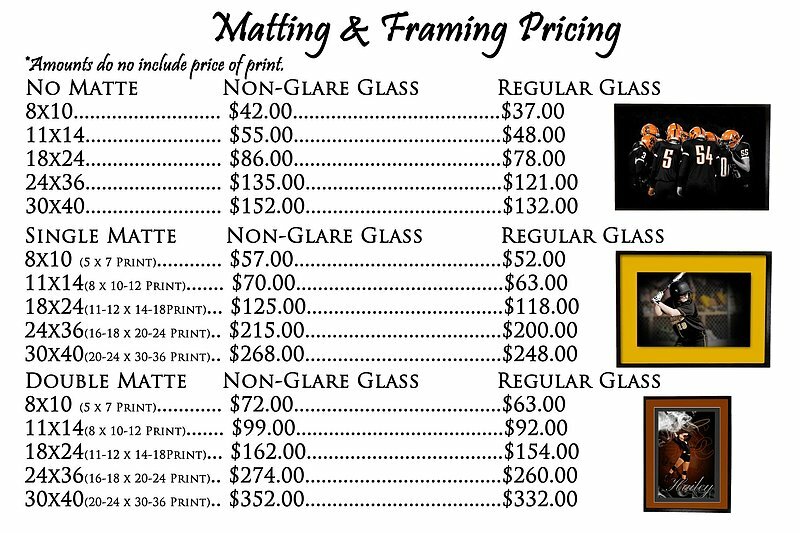 These are available for weddings and seniors too, not just high school events. 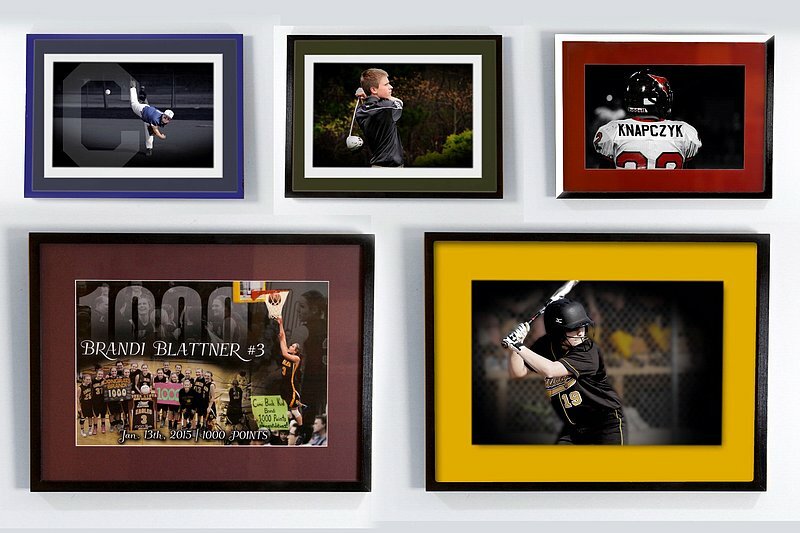 Please ask how we can help you create a one of a kind piece for you. These truly are awesome.